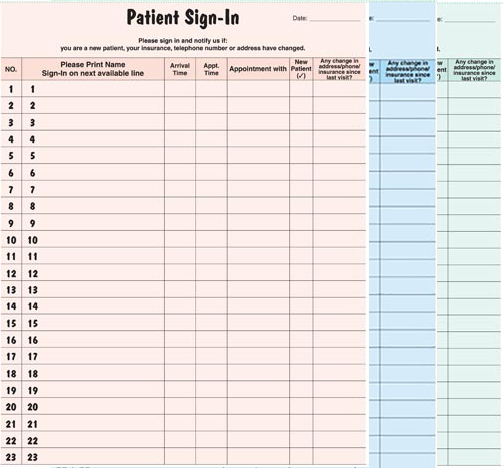 Meet the needs of patient privacy expectations Each patient prints his/her name, appt/arrival time and "Name of Healthcare Professional" on a numbered line. 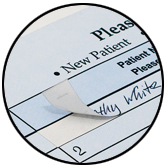 The office staff removes the signed name label and either adds to the patient file or to a workflow tracking system. Once the label has been removed, the information is protected behind part one, available only for office use. Overall Size: 8-1/2" x 11". 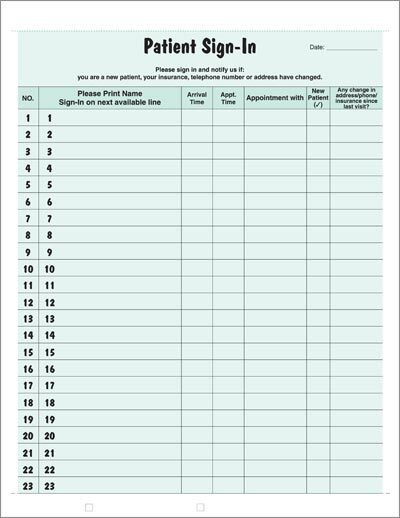 250 sheets per pack with 23 lines per sheet.